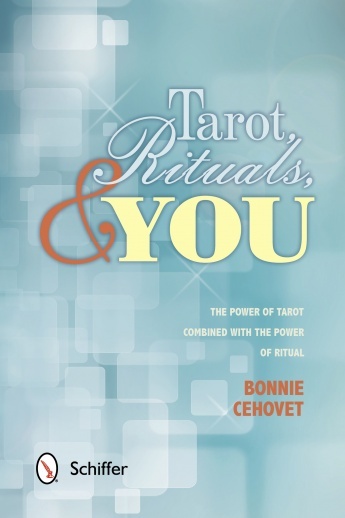 I just love Bonnie Cehovet, so when Schiffer offered to let me review her new book, I absolutely positively fired back an email right away saying “YES, YES, YES!” Her new book Tarot, Rituals, & You demonstrates the amazing power of Tarot combined with the awesome power of ritual. This fantastic book is 96 pages and may seem a bit small but I’m telling you, the information that Bonnie has included will absolutely blow you away! Bonnie starts out by explaining just what a ritual really is, by asking the reader to think about how they define a ritual and by pondering that very question, I actually discovered that I had many forms of ritual that I practiced but never really put much thought into whether or not it was something that I did on a regular daily basis, take for instance my routine of drawing three cards each night before bed…That in itself can be considered a ritual and as such becomes a powerful grounding influence on my daily life. Tarot, Rituals, & You has a rather impressive list of topics covered within it’s pages such as… using ritual directly with the Tarot cards; ritual in daily readings; using ritual for personal growth; honoring moon cycles and SO much more that it would take me pages just to explain what a treasure this book is! I’m particularly fond of the sections about Tarot shadow work. 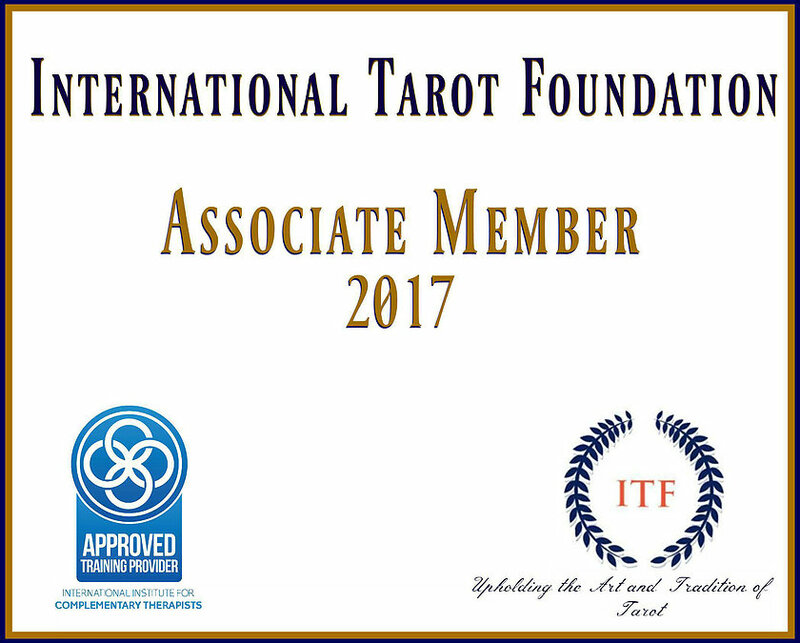 Tarot shadow work, in my honest opinion is the most important avenue that a person can undertake, especially when coming from an extremely dysfunctional background like myself. By recognizing our shadow selves and incorporating these areas in our lives helps to find the resolution or peace of mind and spirit that so many search for. Another greatly insightful dialog that this book covers and that I positively adore, is the section is “Honoring the Moon cycles through ritual.” This is an area in my personal life that has pretty much gone by the wayside in recent months and Tarot Rituals, & You covers both the Full and Dark (New) Moon rituals that when put into practice, perfectly connects one with the subconscious, intuitive selves and serves a greater purpose…tapping into our psychic sense (something that I believe we are all capable of) but not sure how to access such information. There is one more subject that I would like to touch on is “Entering the Major Arcana” in which Bonnie quite thoroughly covers with pertinent questions and thoughts to ponder as we take a card and wander into it’s landscape , there is so much information that one can glean by studying each card this way…sometimes we can gain insights that have up until this time, have eluded us. Oh my goodness, I could go on and on, but I’ve gotta tell you, there is so much more included that I haven’t even touched on that I heartily encourage you, the reader to stop by Schiffer and give this book a read! I can guarantee that no one will walk away disappointed! It’s an awesome book for sure! Liz, you are a great saleswoman – your review made me put this on my wish list! GREAT review!